USB C is one of the latest additions to be found on our smartphones and computers. USB C is the next step in USB, and while USB 3.0 never really caught on, USB 3 takes the whole USB standard to a whole new level. 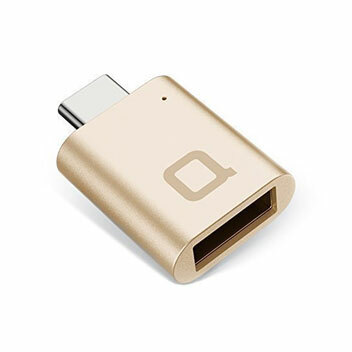 Not only is the connector reversible like the lightning connector on the iPhones, it also allows up to 100W of power transfer, and up to 10 Gbps data transfer rate. The potential is huge, and eventually we will probably see almost everything on our phones and computers connected via USB C, be it a charger, a monitor, or of course your basic peripherals such as mice or keyboards. In our gadget collection we take a look at some of the useful USB C related gadgets on offer in the market. Smart phones have gone from feature to feature, but the one thing that has remained constant is the struggle to keep your devices charged. As such, having a good charger is very important. 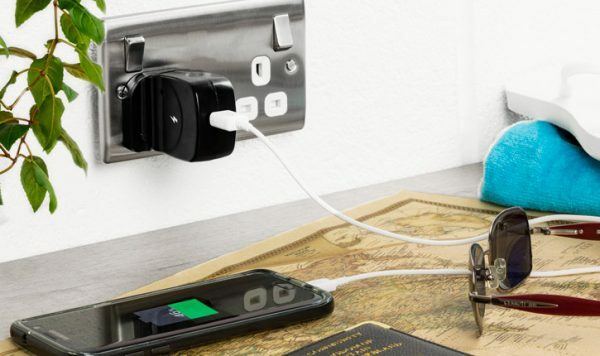 This offering from Olixar not only provides you the ability to quickly charge your devices, but also gives you a whole set of adaptors meaning you can plug this one in anywhere in the world. It has been designed to not only allow fast charge, but also keeps your devices safe from overcharging or over heating. Of course, having a simple USB port means you can pretty much charge any of your devices with this. It retails for £19.99 and can be bought via MobileFun. USB C Cables are trickier than you imagine. They may be easy to buy via various online retailers, but thanks to news reports of many laptops having problems such as burn outs, you have to be rather careful. For this reason, it is always best to get something that not only comes certified for safety, but also offers more. 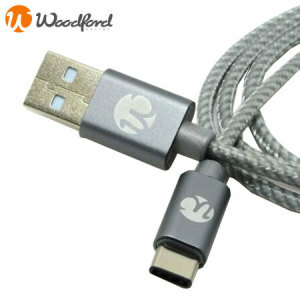 The Quickdraw offers a magnetic end, meaning that this cable can not only stick to its other end, but can also be attached to anything ferrous. Be it the side of your drawer, your power socket, or even your fridge, this cable will always be exactly where you left it. This isn’t the only feature though, as it is designed as a woven cable to give you extra strength as well as prevent tangles. The Quickdraw Magnetic USB C Charge and Sync Cable retails for £19.99 and can be bought from MobileFun. This one has been designed for Macbooks as well as other computers of the future. The idea is simple, in the future, you will simply have USB C ports on computers, and Apple has already started to take that line with their latest Macbook. So, will you throw away your old accessories? You don’t have to with this. A simple USB C to USB 3 adaptor means that you don’t have to worry about devices that don’t offer USB C.
Small, light, portable, this is the perfect accessory for anyone who has a device with a USB C port. It retails from £7.99 and can be bought from MobileFun. Next story Review: Dell Venue 8 Pro – Portable, small, powerful – but missing a keyboard!